I know, I know, we've heard this before. In fact, for years now, us fans have been wondering when the hell we were going to get a high-def version of the movie considering the classic has never been released on Blu-ray. Hell, you can't even stream The Abyss in hi-def. That said, back in 2014 Cinemax and HBO began broadcasting both the theatrical and extended versions of the film in 1080p, and Netflix's UK service began offering the theatrical release in 1080p in 2017. But still no Blu-ray. It has suggested a spat between James Cameron and 20th Century Fox was responsible for the delay. Then in July 2016, Cameron confirmed that he was working on a remastered 4K transfer of The Abyss and the plan was to release it on Blu-ray in 2017. But that didn't happen. Cameron said at the time. "We've done a wet-gate 4K scan of the original negative, and it's going to look insanely good. We're going to do an authoring pass in the DI for Blu-ray and HDR at the same time." Anyhow, now it's good to know that we'll be getting our wishes granted soon as Cameron's go-to colorist Skip Kimball indicates that a newly-remastered version of The Abyss is headed our way soon. He even goes so far as to hashtag 4K and Blu-ray to his Instagram post. That said, there isn't currently word on whether or not this 4K restoration will be of the theatrical cut of the film or the extended version, which includes an alternate ending in which the water aliens create a megatsunami to destroy the world. For those who might not know, Cameron's sci-fi drama followed Ed Harris and Mary Elizabeth Mastrantonio as formerly married petroleum engineers who still have some issues to work out. 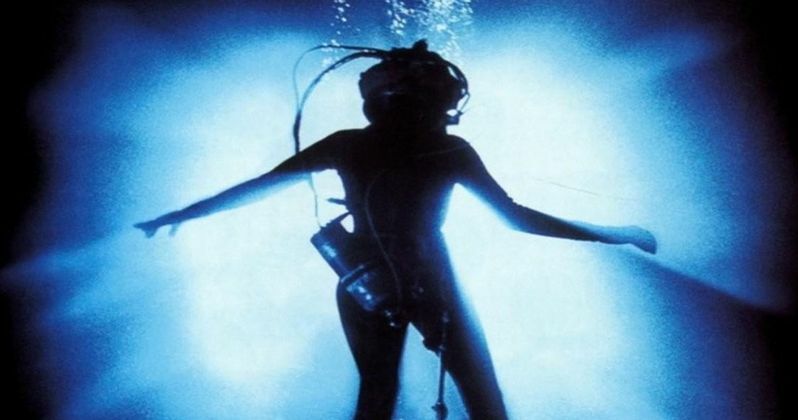 They figure the best way to resolve said problems is by getting drafted to assist Michael Biehn's gung-ho Navy SEAL find a sunken top-secret nuclear sub in some of the deepest waters on Earth. Waters that may or may not contain alien-ish lifeforms. Moo-Haha. James Cameron directed The Abyss from a screenplay he wrote himself. Gale Anne Hurd The Terminator, The Walking Dead produced and the film starred Ed Harris as Virgil "Bud" Brigman, Mary Elizabeth Mastrantonio as Dr. Lindsey Brigman, and Michael Biehn as US Navy SEAL Lieutenant Hiram Coffey. Their castmates include J.C. Quinn, Leo Burmester, Kimberly Scott, Todd Graff, John Bedford Lloyd, Chris Elliott, Kidd Brewer, George Robert Klek, Christopher Murphy, Adam Nelson, Richard Warlock, Jimmie Ray Weeks, J. Kenneth Campbell, William Wisher, Jr., and Ken Jenkins. This update comes to us from Skip Kimball over on Instagram.